Leading 3D printer manufacturing company to deploy next generation supply chain management system to orchestrate supply and demand across their rapidly expanding global supply chain. 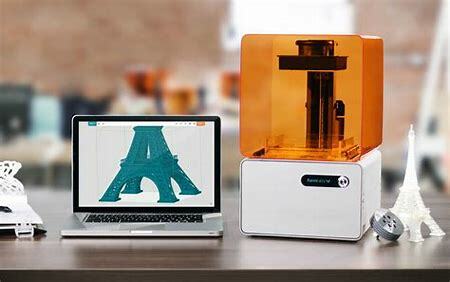 MALVERN, PA, January 15, 2019 — Vecco International, provider of an advanced end-to-end cloud-based supply chain management solution, today announced that Formlabs, the industry leader in 3D printing technology, has selected Vecco to manage the company’s global supply chain in support of their rapid international growth. “We are honored that Formlabs has selected Vecco as the foundation of their Digitization Initiative supporting its rapidly expanding complex global supply chain” said Jonathan Kall, Vecco’s CEO. Vecco’s patented, cloud-based multi-tier VCRP solution can extend and complement all major ERP and S&OPs to provide visibility and control across the all elements of multi-tier in and out bound value chains, including sites owned by partners and customers. VCRP particularly helps users with highly outsourced supply chains to manage synchronized, multi-partner business networks solving multi-tier global supply and fulfillment challenges. This enables them to improve on-time performance, compress cash-cash cycles, reduce inventory levels and costs, improve agility, and manage supply chain event risk. VCRP makes the whole chain work as if it was one enterprise. VCRP is configured, not coded, requiring no changes to partners’ existing systems of record, which allows Vecco to offer Value Chain Management capabilities previously available only to much larger companies, and at a fraction of the cost. Users can rapidly install without significant demand placed upon their limited capital and personnel resources. The Vecco solution has proven ability to support thousands of users and hundreds of trading partners. Vecco has also recently been recognized by several of the leading Industry Analyst Firms as a top Supply Chain Vendor in the emerging category of Multi-Enterprise Supply Chain Business Networks. Vecco is the only ‘Built For NetSuite Certified’ Supply Chain technology to be recognized in this category. Vecco offers a next generation, SaaS based supply and demand planning and response management software platform focused on helping corporations transform their customer service performance and profitability. Vecco’s VCRPTM suite of real-time value chain planning, and process execution solutions help companies better plan and manage worldwide inventory and gain complete visibility and control over the company’s product supply and demand.